At Clintec, we are passionate about providing the opportunities of tomorrow. As a global company, we have ‘local’ businesses all over the world, supporting economies of all kinds. This year, Clintec Philippines were proud sponsors of a charity project in Norzagaray, Bulacan. The entire Clintec Philippines team was involved in bringing this project to life, joined by Richard the Magician and the famous (Philippine Local Artist and Philippine’s Got talent Finalist) Puppeteer, Ruther Urquia. Clintec Philippines travelled 4 hours by land, 1 hour by small boat and 1 hour hike in order to meet our beneficiaries, the Children of the Dumalag Tribe. We distributed school supplies and toiletries to more than 150 school children. 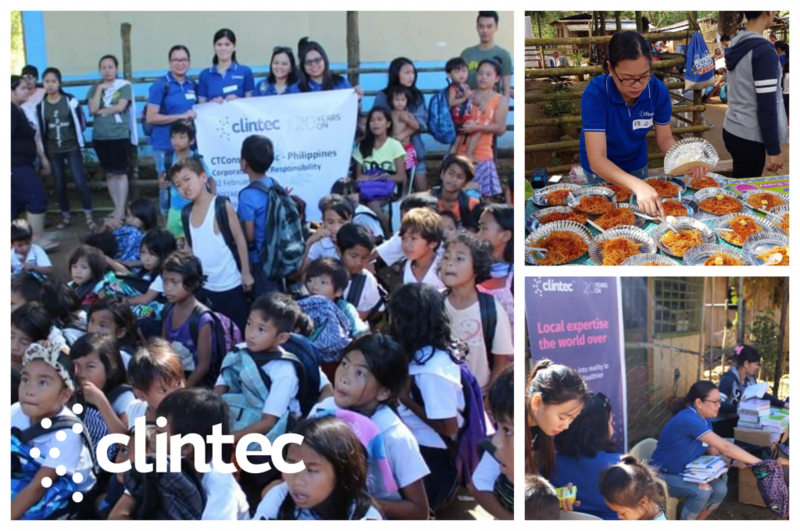 The Clintec team cooked, prepared and distributed snacks and lunch for everyone, and the team enjoyed their food with a traditional boodle fight. Morning exercise, by means of Zumba Dance, was led by our volunteers and the children were divided into smaller groups for games and story-telling sessions.